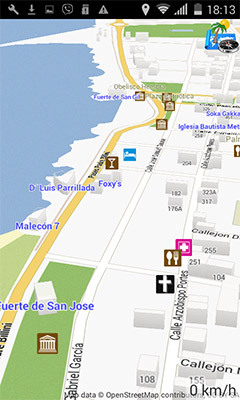 3D Maps of Dominican Republic and Haiti + GPS Navigation. App for Android. 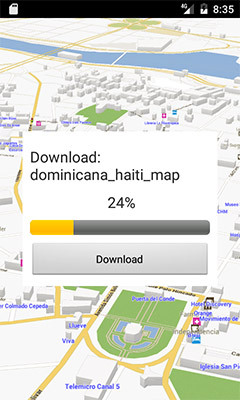 Download 3D maps of Dominican Republic and Haiti for navigation without internet connection. Free GPS app for Android. 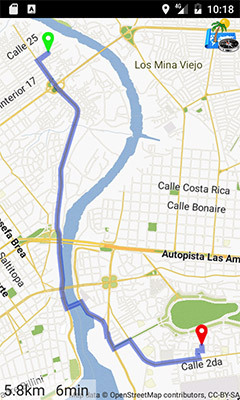 - Detailed 3D/2D maps of all roads and cities in Dominican Republic and Haiti with street addresses. 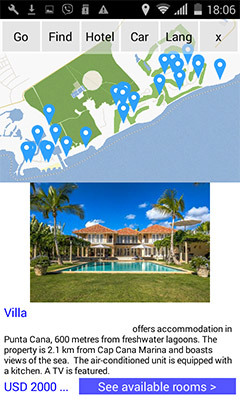 - Download all routes of Dominican Republic and Haiti, then use it anytime. 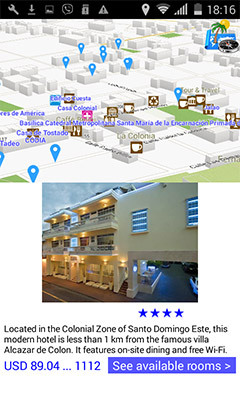 - 1500 hotels in Dominican Republic and Haiti saved on your phone. Santo Domingo, Santiago, La Vega, San Cristobal, San Pedro de Macoris, San Francisco de Macoris, La Romana, Higuey, Puerto Plata, Moca. 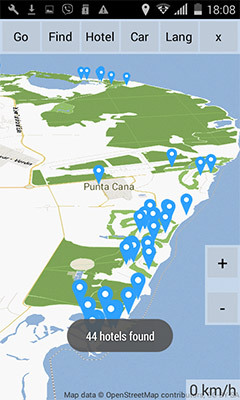 Eastern National Park, Punta Cana, Playa Dorada, Samana Peninsula, Samana Bay, Jarabacoa, Bahia de Las Aguilas, Jaragua National Park, Lake Enriquillo, Playa Moron. Port-au-Prince, Carrefour, Delmas, Cap-Haitien, Petionville, Gonaives, Saint-Marc, Les Cayes, Verrettes, Port-de-Paix, Jean-Rabel. Citadelle Laferriere, Bassin Bleu, Cathedral Notre Dame de Cap Haitien, Labadee, Palace of Sans-Souci, Site des Ramiers, Kokoye Beach, Gelee Beach, Saut-Mathurine.